Even we leave our laptops every now and then to explore the world. Some of you might remember that I’ve spent 6 months in Dubai during the first half of 2016. I have become too spoiled regarding car spotting, but one major dream was missing. During my recent trip to Dubai this dream came true. 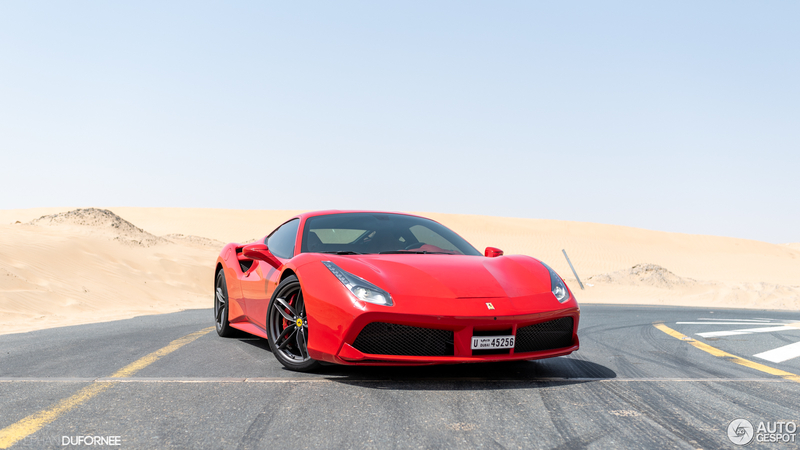 I had the opportunity to drive through Dubai in a Ferrari 488 GTB! 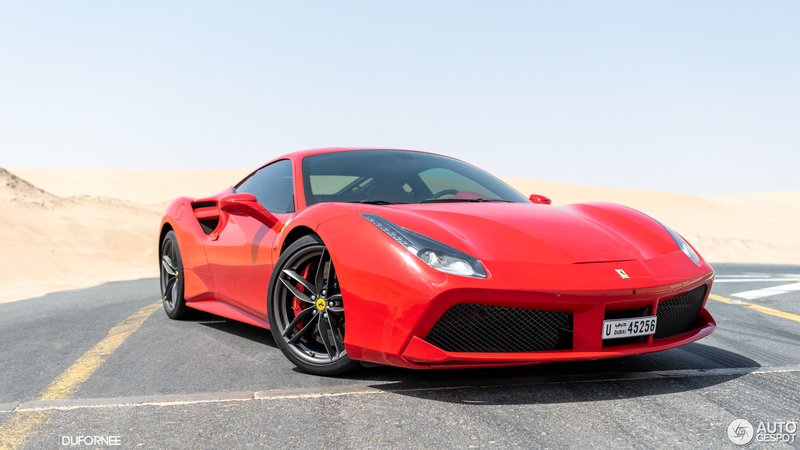 Of course this Ferrari 488 GTB is owned by a rental company. We have contacted href="https://www.jamalprestige.com">Jamal Prestige before, during my stay in Dubai in 2016. Now I went back to Dubai and again contacted Shafiq Jamal. It was at the end of my trip that we met Shafiq Jamal, in his office next to at least six other rental companies. Shafiq is born in the United Kingdom and moved to Dubai a few years ago. His company has become one of the more refined and well-known rental companies in Dubai. That is not easy to achieve, as Dubai has around 3,000 rental companies. The fleet of Jamal Prestige ranges from everything between the Mercedes-AMG G 63 to the Lamborghini Aventador LP700-4. 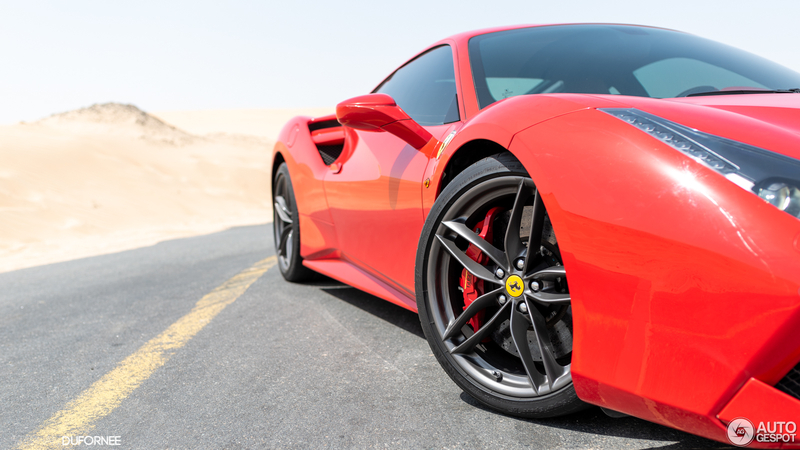 Luxury saloons and seriously fast sports cars can be rented on a daily basis. As we met him last minute, there was only one car available. Moreover, this car had to be returned before 5 pm as it was rented later that day. The only car he had was a Ferrari. Not bad at all, of course. 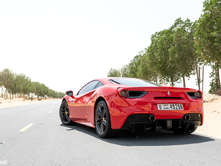 However, we expected a Ferrari F430 or California. Not at all the car Shafiq said it was going to be. 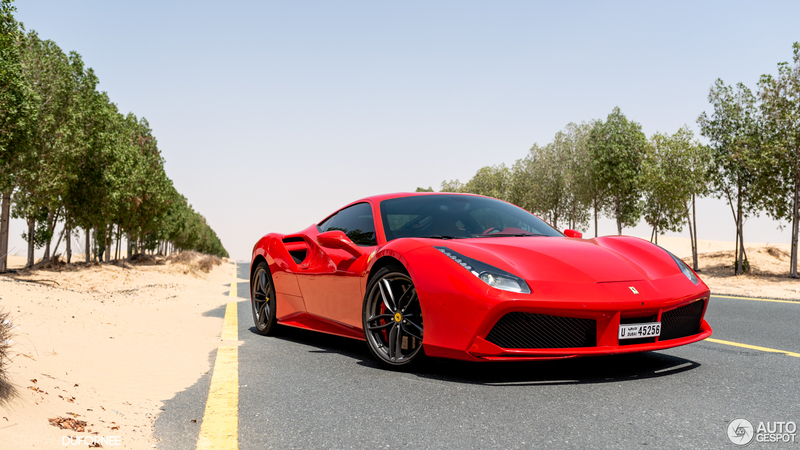 We would have the Ferrari 488 GTB all to ourselves for the afternoon! The car was parked a little further away in the sun. Covered in a little bit of dust and some small scratches from previous renters who did not treat the car best, it stood there waiting for us. As the monetary risk of crashing the car was a certain percentage of the repair costs, we decided to drive safely and sensible. As you can understand, we did not even reach the highway before we decided to give it a go! 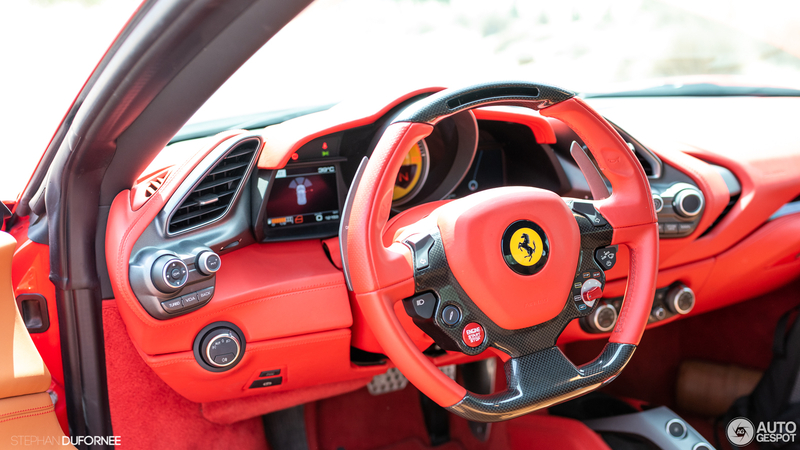 The engine produces 670 hp, which is as much as the legendary Ferrari 599 GTO. 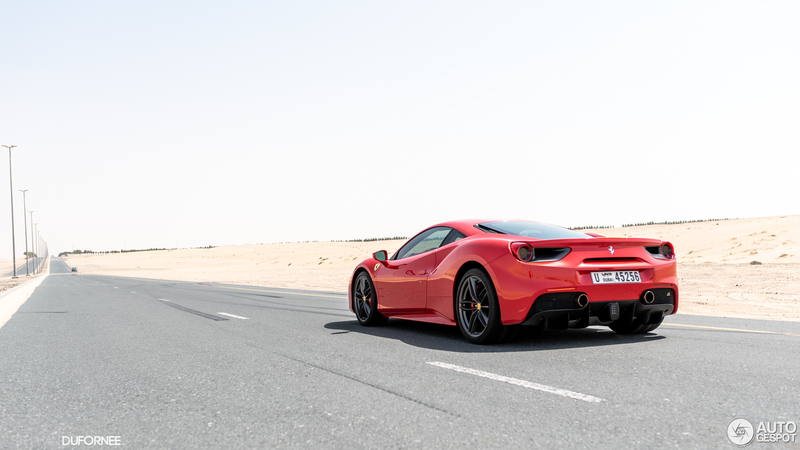 Since the car is turbo powered, the torque of 760 Nm is even more impressive. After we looked up the specs, we saw that we should be able to go from 0-100 km/h in just three seconds. After we put the car into sports mode, we decided to hit the gas. It’s amazing how quickly the power of the car becomes available. The turbos need some time to become active, which is very well audible, and really gives the car the sense of reaching warp speed. Hitting the large shifters behind the wheel only let the acceleration continue, without any hesitation. 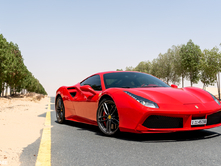 As the speed is limited to only 120 km/h around Dubai and speed cameras are positioned every kilometer, there is not much space to accelerate before things becoming too expensive. Shafiq has one customer who sped 60 kilometres per hour and now has to pay a fine of around 2000 euros. We quickly came to the conclusion to avoid that at all costs. 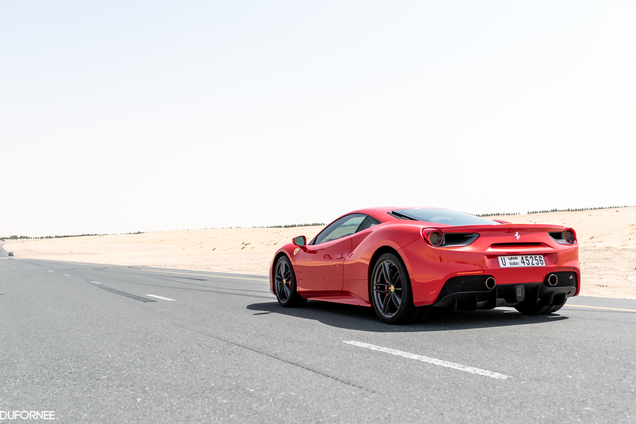 Driving the Ferrari 488 GTB is relatively easy. The car shifts gear automatically if you want and despite having 670 hp, the power is easy to dose. Only when you really floor the pedal, the power comes in really fast and you need all senses to keep the car under control. 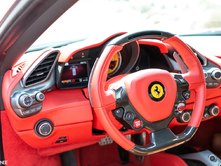 As it is a Ferrari and the valves in the exhaust open around 3500 rpm, it is best to keep the car above that. The sound is just mesmerising. From the inside, it is hard to remember what impression the exterior makes. 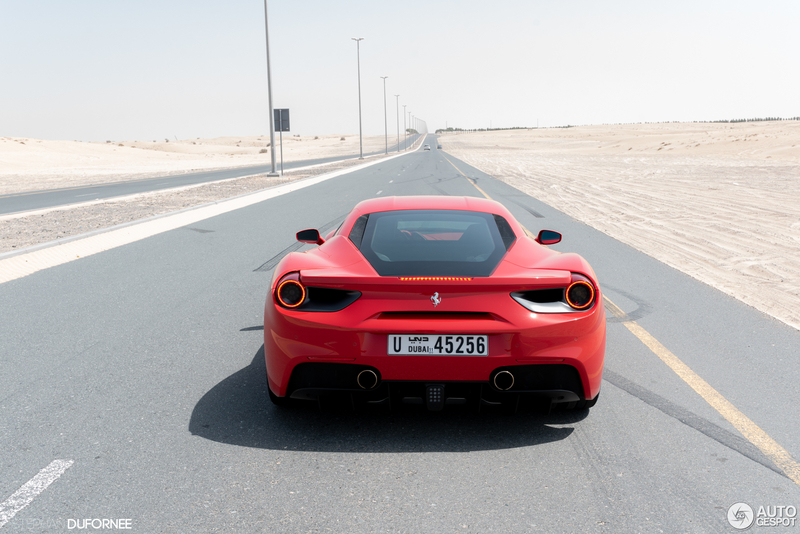 Only when we pass some window shops we see the shape of the 488 GTB and we realise that we are driving one of the quickest cars available at the moment. Due to all the sand around Dubai, the grip is not great. Of course, the tarmac and the tyres heat up quickly thanks to the always burning sun, but it does not guarantee tons of grip. Taking a highway exit at high speeds is something we prefer not to do with the costs of crashing the car in the back of our minds. When in Dubai it's better to show off rather than race. Even though there is nowhere stated on the car that it is a rental, it is too obvious. Two relatively young guys in a Ferrari screaming out loud is synonym for two guys having the day of their lives in a rented Ferrari. At that moment, we totally were fine with that. The afternoon never went this quick, which has as result that we had to return the car. Not before we refilled the fuel tank. We’ve used around three quarters of the fuel tank, we noticed. The costs of this afternoon full of fun, speed and dreams being fulfilled? 24 Euros. It’s ridiculous that sometimes supercar dreams can be that cheap. All thanks to Jamal Prestige!